One of my favorite things about South Africa is that everytime you think you have the place figured out, it always surprises you with something new and totally unexpected... one example being adorable African Penguins. 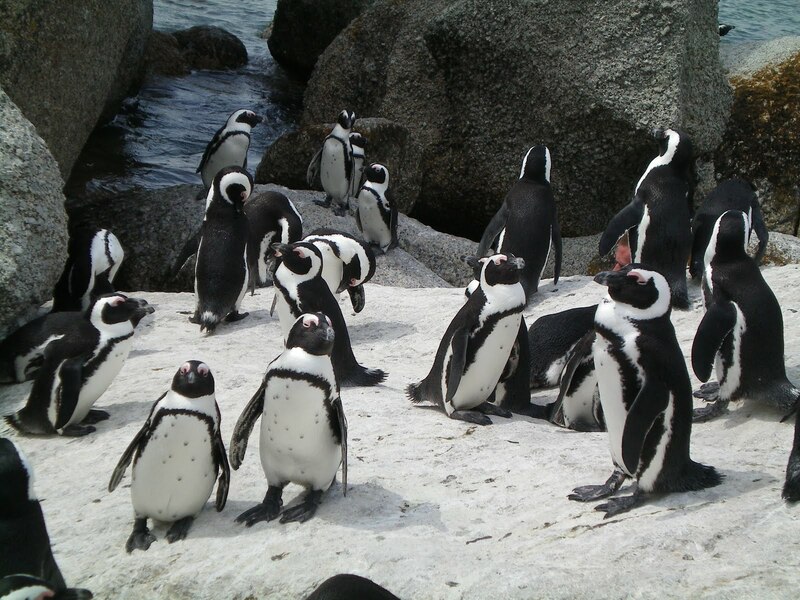 When I was first preparing to come to South Africa for a semester abroad in 2008, I read about the African penguins that have made Boulders Beach their home and I couldn't wait to see them up close. 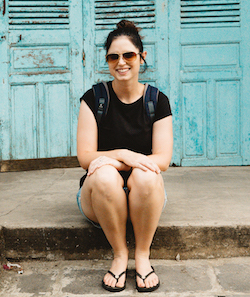 I wasn't sure whether they would look like your real happy feet penguins that live at the north and south pole, but I was intrigued enough to go and investigate during my first week in the country. Oh, and don't forget to check under your car for penguins before leaving! Boulders Beach is just a 45 minute drive from Cape Town and is a must see for anyone visiting - at the very least it makes for a great photo op! Tickets into the reserve are only about $5 per person so it won't break the bank either. If your schedule allows I'd also recommend setting a day aside to explore or stay in the neighboring city of Simon's Town - it's the epitomy of the perfect little beach town complete with little cafes, boutique hotels, great shopping and awesome ocean views. That's so cool! 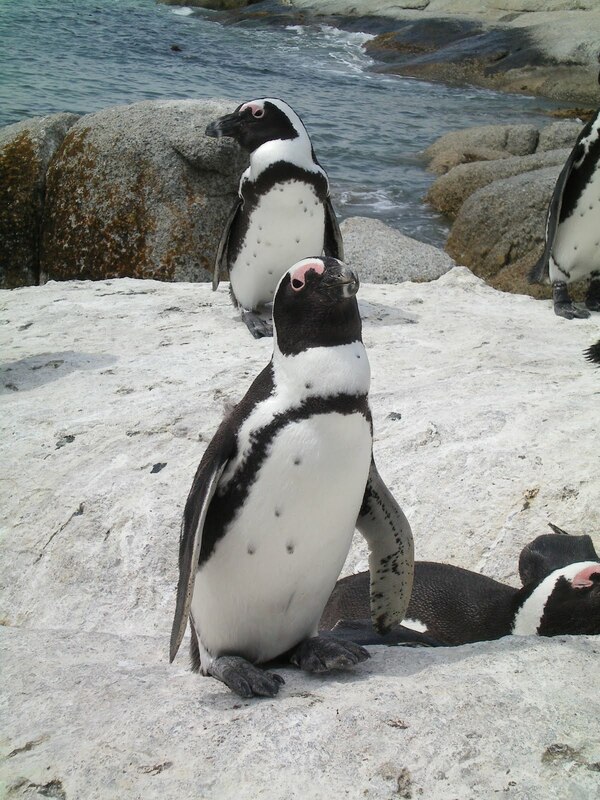 I love penguins, and I never thought they would be in Africa! Thanks for sharing! WOW that is so crazy!!! How cool! Thanks for sharing the pics!! I don't think they live in the North Pole; however, I never knew they lived in South Africa! That. is. awesome!!! I love the picture where all the penguins are behind you, how crazy! I would love to visit there someday! So cute and such intriguing birds! I will make a point of it to go to the Cape sometime, maybe in December. I have only been to CT once in my life, haven't even been close to Stellenbosch or the winelands. I love Boulder's Beach too - it's such a unique experience and an awesome place for families to take their kids to for the day!! So cute :) I will definitely have to venture back to Cape Town and see more than just the airport!! omg my heart literally just fluttered and i got butterflies. i LOVE penguins. i am SO jealous. Oh my gosh, they are SO dang cute!! Be still my heart!! Such cuteness. this is the cuttest thing ever...so cute! !